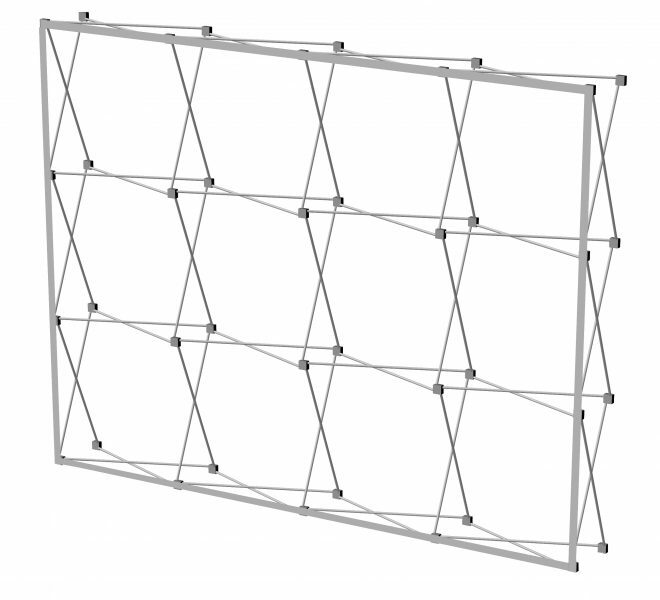 Soft Image: a completely new presentation system, designed especially for large format fabric banners. Due to the angular reinforced bar construction, this system offers unrivalled stability. 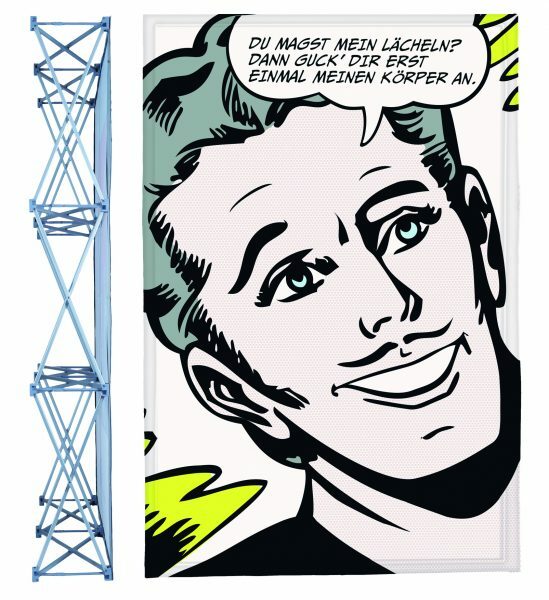 The frame requires no assembly and is therefore extremely easy to use. 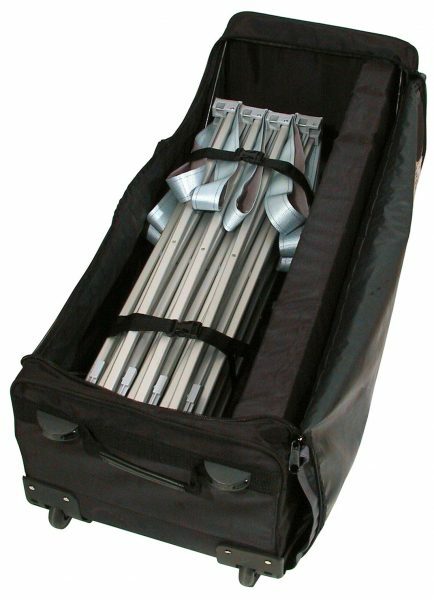 Soft Image is always ready for use: just remove it from the upholstered carrying bag, where it is stored and transported with the banner in position, pull it apart, and fasten the locking clips. Its just as simple and effortless to dismantle. 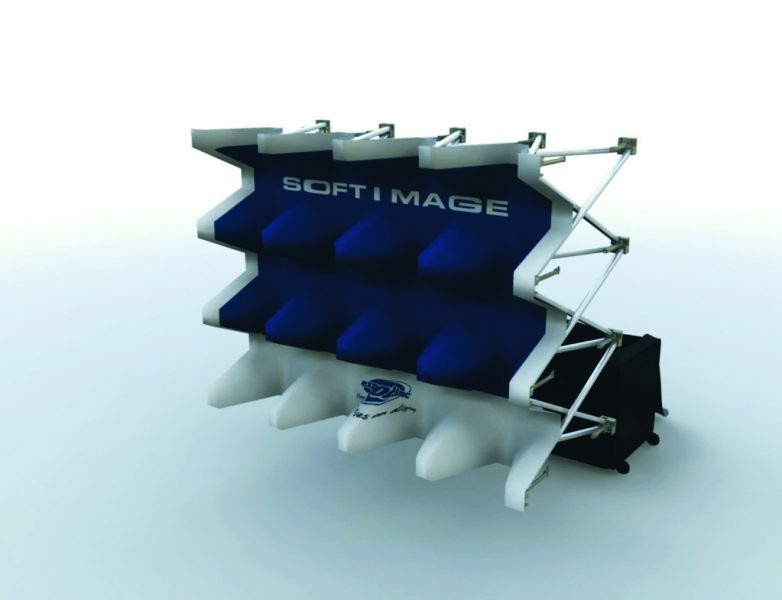 Soft Image has been designed to meet the critical demands made on modern fabric banner displays. There are no loose components which can easily be lost. 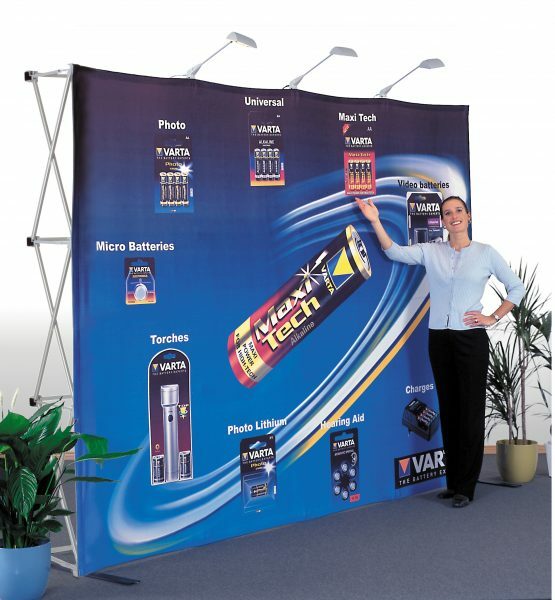 The system and the banner form a single unit of the highest quality. Use the Soft Image time and again. 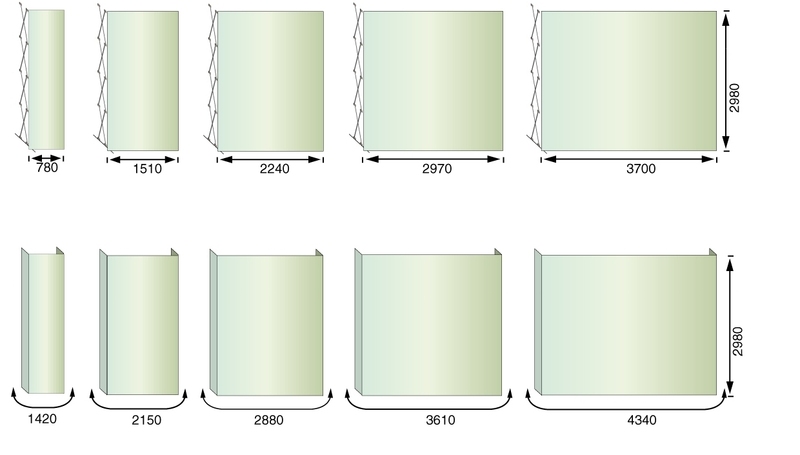 Changing banners is simplicity itself  just remove and replace in seconds. Lights and stabilizing feet are also available, and require no tools for fitting. Both can be transported along with the system in the upholstered nylon bag. Soft Image counter complete your presentation. They hide behind your design and fit into every surroundings. 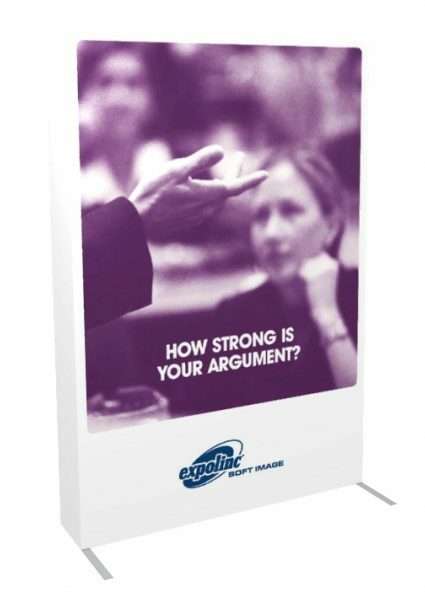 Your fabric banner and the plain white table top complement one another in harmony.